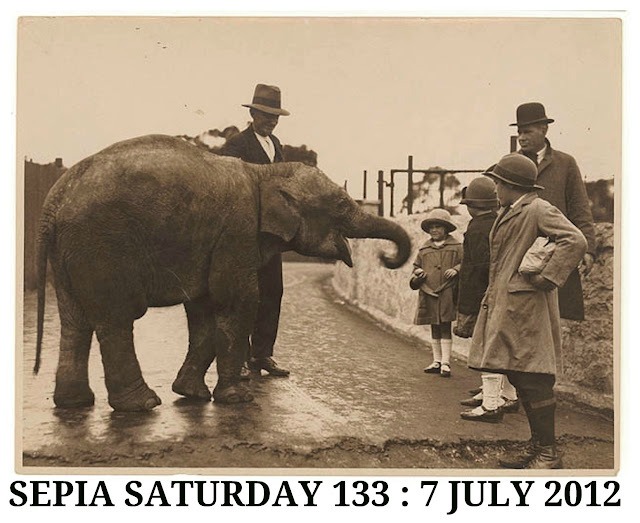 Today’s image of a baby elephant at Taronga Zoo, Sydney, Australia, is by Sam Hood (1872-1953) and comes from The State Library of New South Wales via flickr. It was taken about 1930. If you want to pick up a theme, apart from the obvious one of elephants, how about: zoos, animal sanctuaries, children and pets, baby animals, circuses, or as Wendy offered on our Facebook page, trunks or wrinkled skin (with a warning about self portraits) and Kathy suggested big ears - which I suppose should carry the same warning. 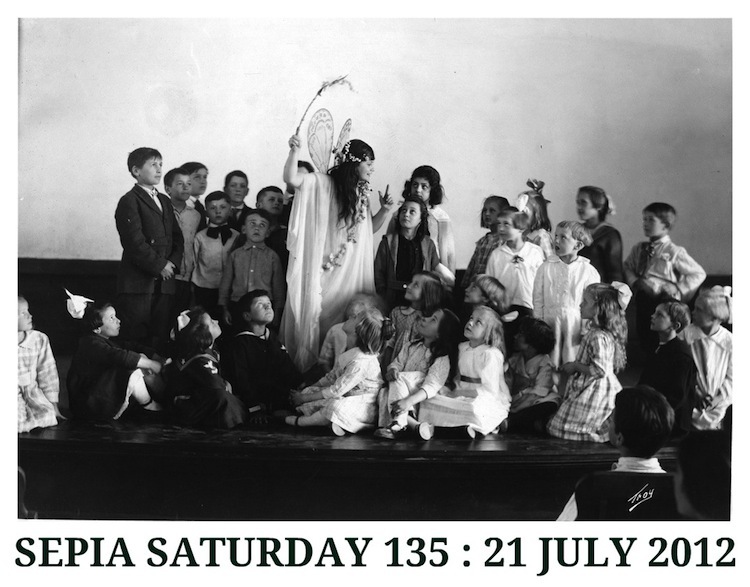 There’s no need to follow the theme if you have a lovely old image to share with us of course, because it really is the taking part that’s important on Sepia Saturday. When you’re ready to join in don’t forget to add your name to Mr Linky below and paste in the URL of your Sepia Saturday post (not your blog) so that we know where to find you when we come calling. Then, after linking, leave a comment please.Try to visit as many other SS participants as you can during the following week to see what they’ve done with the prompt - or not. Here’s a mini-banner for you to add to your post, which helps to give Sepia Saturday a plug, and even if you don’t use it please give us a mention to encourage your readers to visit us too. Baby elephants are always a big crowd-pleaser and Taronga Zoo has three at the moment, including one born last year and filmed in the You Tube video below, showing off all their best tricks. Stand by for an “Awwww” moment. Now, it’s time to share the images for the next two weeks for those who need a little longer to ponder on the direction they’re going with their contribution. Alan will be sailing back to us tomorrow, so next week I’ll be handing back the Sepia Saturday reins to him. Thanks for all the encouragment and kind words; it’s been fun. The 1947 shot shows a battleship then being added to the San Jacinto monument near Houston. Commemorating 2 wars. Sorry, it was apparently 49. Hi. Well, I do have three posts this week. #1 is of the vintage childrens book, The Saggy Baggy Elephant and is too sweet. #2 is another postcard packet, this time of Texas c. 1940's. #3 is a Tin Pot Valley story about an elephant coming to visit the Jesse and Cynthia Applegate farm. Hope that you enjoy your 4th of July, if your are in the states, and that you all have a wonderful weekend. I think that we are leaving this morning for a long awaited camping trip, and I'll be by to catch up and visit when we get back home. I feel as though I’ve been on safari! How can you have a zoo be without elephants? I actually have an elephant photo! Let's not speak of the elephant in the room. Mine is outside and part of the circus parade! My elephants are observing my grandfather and cousin at the zoo in 1956. I got to thinking circus...zoo...peanuts...nuts! I have the World's Fair from 1939. I've posted a "Jumbo" sized post this week. Thanks to Howard for sparking my memory of this local attraction after reading his post in "Postcards Then and Now." I have stretched the elephant theme a little, but I'm in this week. Another vintage postcard for today's post. This time it's The Bird Park at Santa Catalina Island, California. Actually had elephant photos but nowhere to be found so although not an old story a real life baby elephant story. Kind of late this week, I am. I did, in the end, find an elephant. 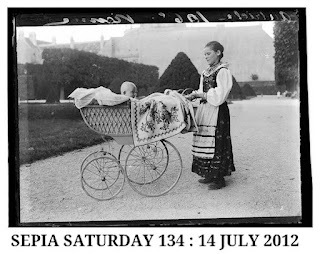 I am on the road this weekend so my commenting will have to wait a while, but I'm hoping this will be my return to Sepia Saturdays as a regular thing. This is my first post to Sepia Saturday. I hope my cards are old enough! I've tried again. Hope this works well.